Building a PPC lead generation channel from scratch. Navion Insurance had no existing paid online advertising. It's quite rare that we take on such an ambitious PPC project like this, but we accepted this one because the industry is incredibly challenging and it's rare to have complete control over all the parts of a PPC funnel including landing pages. The insurance industry is one of the most competitive on AdWords. Today, after optimization, our effective CPCs continue to be in the $5-$8 per click range. Navion had a target of $20/lead. At a $5 CPC, that means we need a 25% conversion rate. Sounds like insanity right? It took a lot, but we just about did it. We started off with a full client questionnaire over the phone. Then a whole 3rd of the project's time and resources were dedicated to due diligence. We looked up the top 10 AdWords advertisers in the space, collected their landing pages, headlines, angles, key claims, text ads, and wrote down what we thought they did well and what we thought they did not so well. This comes in very handy to inspire ourselves and to create a Frankenstein best version of all of our competition. We also wrote customer avatars and built empathy maps for each avatar. It was a very valuable investment of our time - we still use these today when writing ads. But to reach our CPA targets in insurance, research won't be nearly enough. Now we have to apply this research and turn it into creating really high converting landing pages. Regarding landing page content and layout, we opted for something fairly straitforward - inline with best practice. Logo top left, phone number top right, headline, key claims, and CTA all above the fold. Followed by insurer logos for legitimacy, content exclaiming key claims (from the questionnaire we did with the client) then testimonials and a final "what makes Navion different" to push differentiation. Repeat the CTA roughly and the end of each section and we're good to go. Before we do design, we focus on copy. Words on the page make or break conversion. Work with a good copywriter. It makes a massive difference. Their deliverable is a MS Word document. The next step is to take your layout and your copy to a designer. My favorite service continues to be 99designs. I like 99designs because it's a great way to buy multiple drastically different designs and split test them. 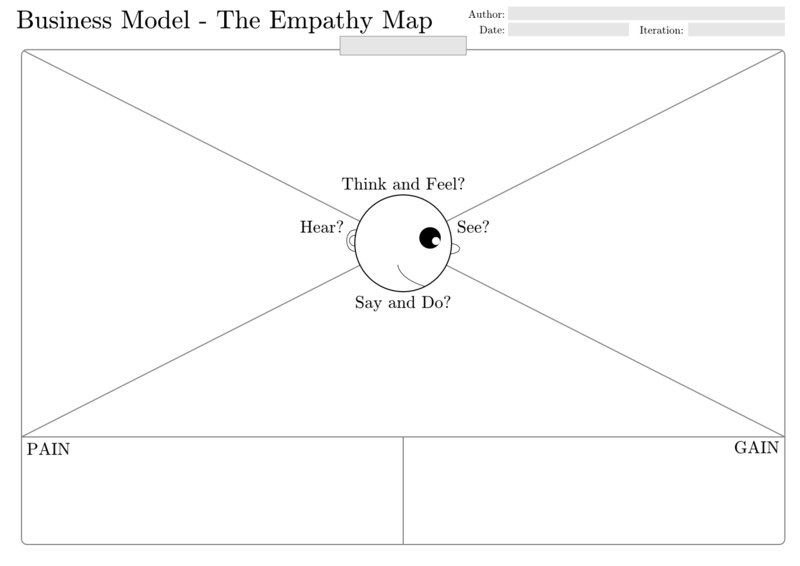 Assuming you have all of your copy together, the landing page design process takes about 7 days. We picked what we thought was the 3 strongest designs and bought them. If you're tight on budget, or don't mind hustling a bit, you can award one design and then offer the other two $100 or so via paypal to buy their designs seeing as they're not going to do anything with them anyways - $100 is better than $0. All three designs we picked felt strong - we couldn't guess which one was going to win. Each also hapenned to have a different type of form submit: LP1 had the form directly on the page, LP2 just had a CTA button that took you to a separate intermediary form page, and LP3's CTA triggered a pop-up modal. Concerning the AdWords account build, we followed our usual AdWords Alpha/Beta account structure. We learned from our initial conversations with the client that prospects would ask for insurance specific to their industry, even though in reality it's mostly all the same insurance. 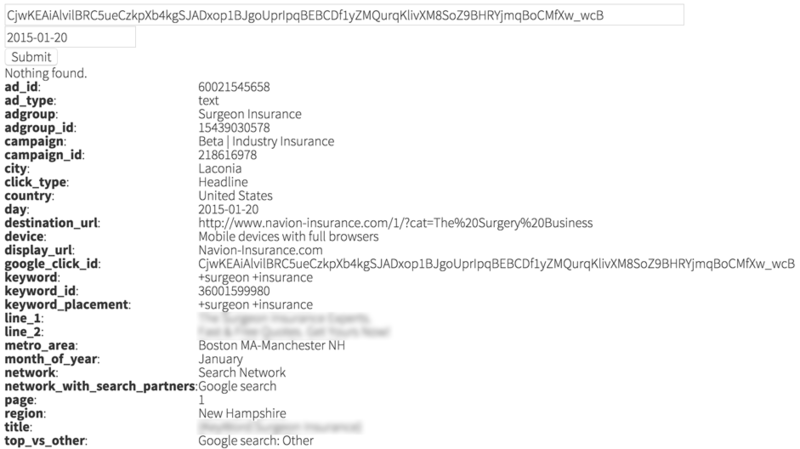 We would also see this in our keyword research - people would seemingly search for "Insurance for +Industry". So instead of creating a landing page per target industry, we used PHP to dynamically pass URL parameters into the landing pages to test fast. This way we could quickly target new industries inside of AdWords and all we had to do was change the destination URL to get a consistent landing page (with a non general headline at a minimum). If we identified an industry performing well, we'd build a landing page specifically for that industry with a corresponding image etc. But no need to do that until you test what works, the performance must warrant a dedicated landing page! You can test this system out for yourself here, just change the word Acupuncture in the URL to whatever you like and you'll see the headline and first few words in the copy change accordingly. You can learn how to do this here: using PHP to dynamically insert URL parameters into landing pages. We used Optimizely to rotate the landing pages, although we could just as well have used Google Analytics Content Experiments. We needed to track both form conversions and phone calls. We used AdWords conversion tracking for both. This way, we could look at unique conversions, meaning if the same guy submitted a form and also called (which we discovered happened quite frequently), it would only count as 1 unique lead in our stats. AdWords' website call conversion system works great and is free. We placed a different conversion code for each landing page so that we could easily look at performance per landing page. We could have done this differently, but this was the most straitforward and accurate way. This client only wants leads from certain industries, and wants to avoid others. Matching the GCLID to the lead allows us to gauge some basic form of "lead quality" per keyword and optimize for it. We chose a winning landing page variant on the 9th of Jan, which seemingly close to doubled our conversion rate - from 12% to almost 24%. Here we can see the cost per lead (CPL) - the orange area chart - trending down, while the lead volume (blue bars) are trending up. Today, we are continuing to optimize cost per lead and lead quality while ramping up volume.